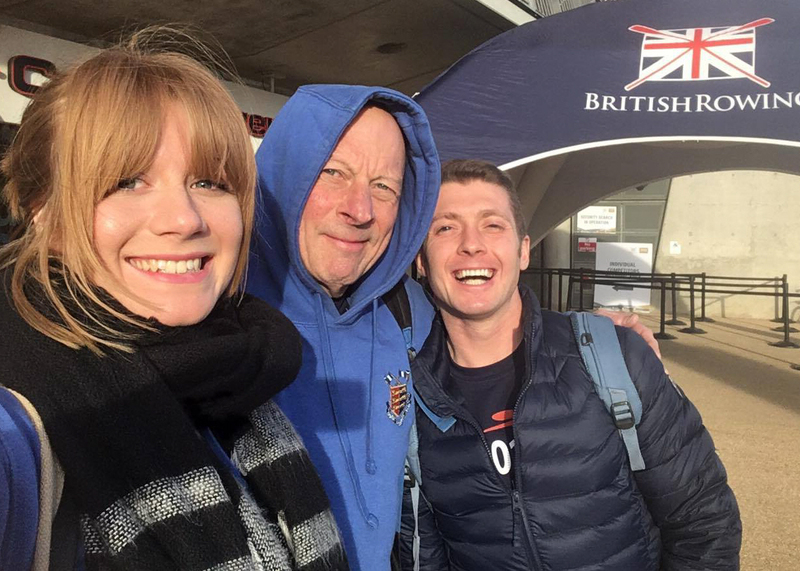 The weekend saw Dover Rowers in action at the British Rowing Indoor Championships held at the Lee Valley VeloPark. 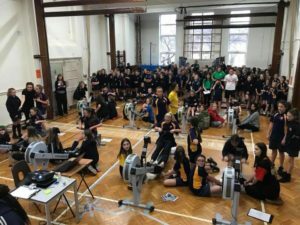 This competition gives rowers the opportunity to compete against GB and international rowers and this year also saw Sir Bradley Wiggins’ competitive rowing debut. 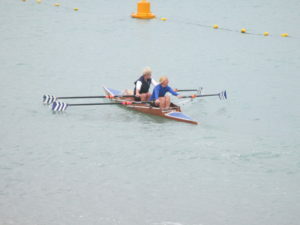 Nick Bailey and Chris Price competed in Master categories. Bailey, competing in the Masters 60-64 years 2km event, got off to a strong start covering the first 500m in 1 min 53.2 sec. 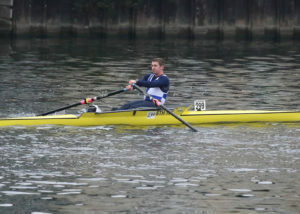 He slowed through the middle 1000m, averaging 1 min 56.2 sec, before finishing strongly with a final 500m at 1 min 52.9 sec. Bailey’s overall times saw him home in 11th place in a time of 7 min 38.6 sec. 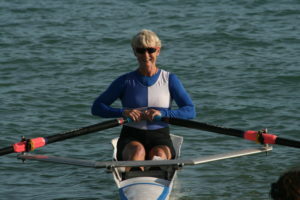 Price entered in the Masters 30-39, light weight, 2 km class. 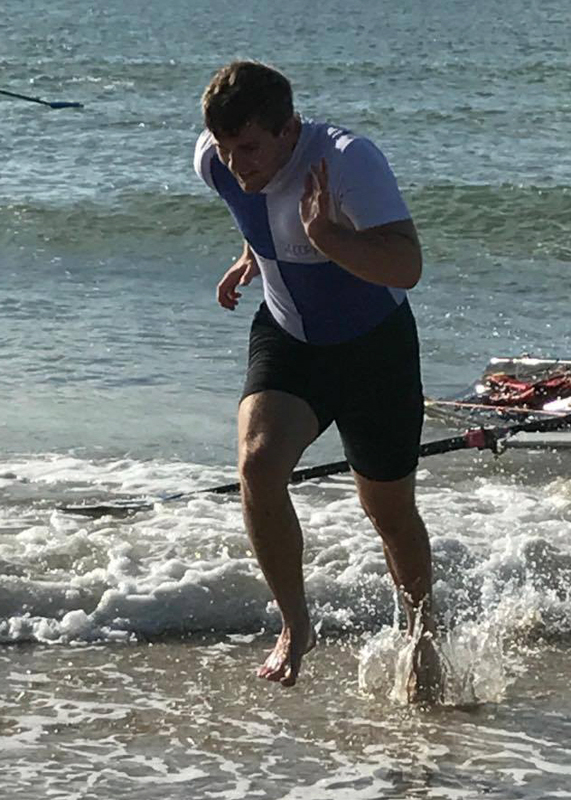 He got off to a slow start posting a first 500m of 1 min 52.9 sec, improved steadily through the next 1000m and finished strongly, with a last 500m time of 1 min 48.1 sec. Price finished in 10th place in a time of 7 min 25.2 seconds. 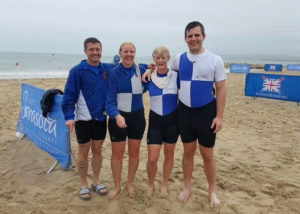 Dover’s student Rowers Tom Stothart and Chris Hall competed in the recent British Universities and Colleges Sport indoor rowing championships. Stothart has been has been improving his 2 km times since arriving at Reading University and was aiming to break the sub 7 min target. He was heartbreakingly close, posting a time of 7 min 00.8 sec, a personal best. 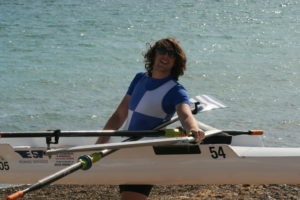 Hall was a late call up for the University of Southampton squad. He improved on his previous best time, completing the 2 km in 6 min 48.2 sec, before helping his team win the relay event the same day. 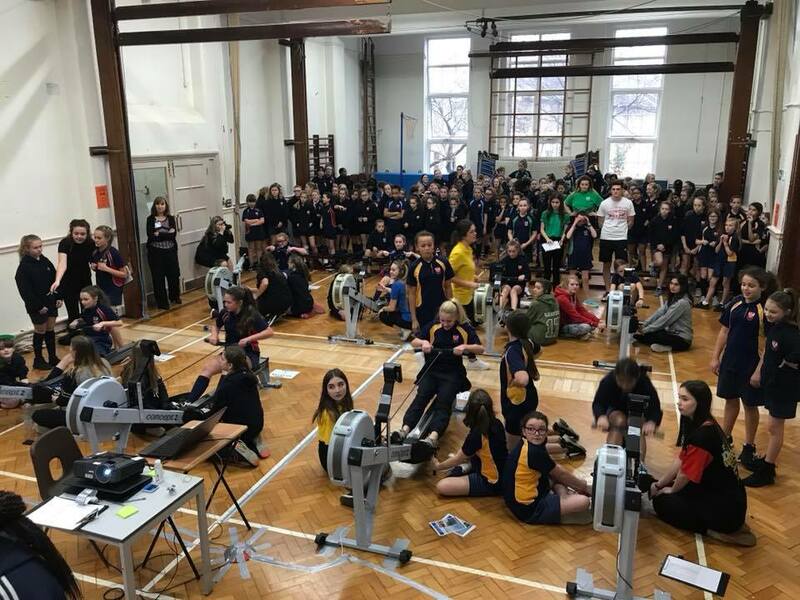 Dover rowers Tony Burrows, Chrissy Purvis and Paul Scrivener assisted Dover Grammar School for Girls with their annual indoor rowing event which saw Rebecca Stothart help her team take their year groups relay title. 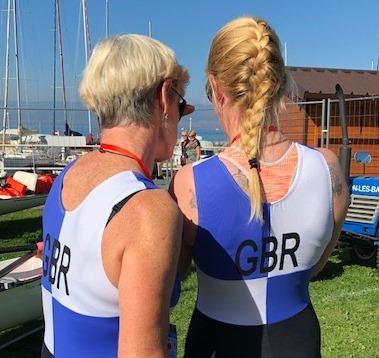 Dover rowers Jo Johnston and Maria West-Burrows represented club and country, as GBR04, by competing in the semi-final heats of the Woman’s Double Sculls division World Rowing Coastal Championships held at Thonon-les-Bains on Lake Geneva on Friday. By qualifying for, and competing in, the World Championships Johnston and West-Burrows are hoping to inspire others to take up sport or new challenges regardless of age. Maria showing off her accreditation and Jo and Maria signing autographs. 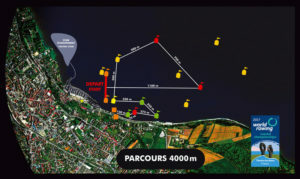 The course map for the World Rowing Coastal Championships displaying the 4 km route. 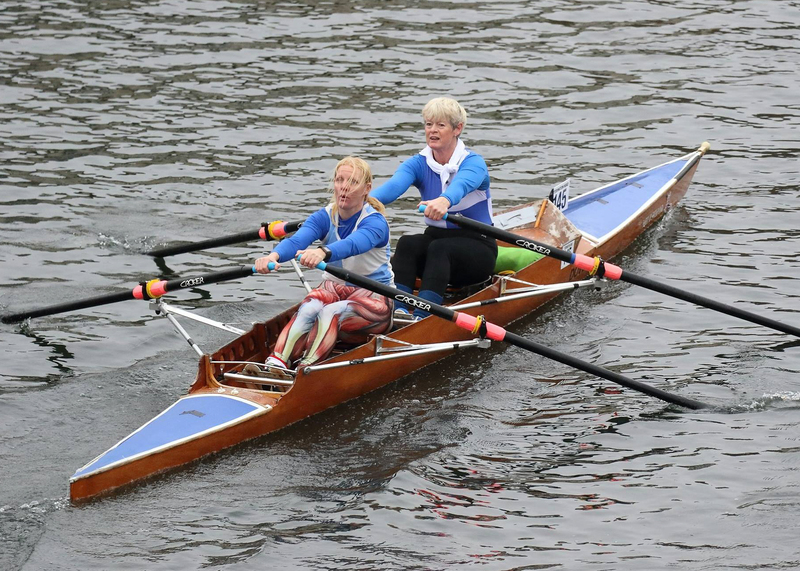 With an average age of over 50, Johnston and West-Burrows gave 20 years to most of their opponents, and rowed in conditions far calmer than they prefer. 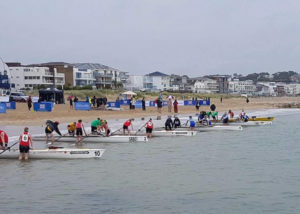 The initial 1100 metres leading to the first turn on the 4 km course saw a mass charge with Dover’s crew fighting to maintain a qualifying position. The run to the second turn saw the field spread out with Dover towards the back of qualifying and being pushed hard. 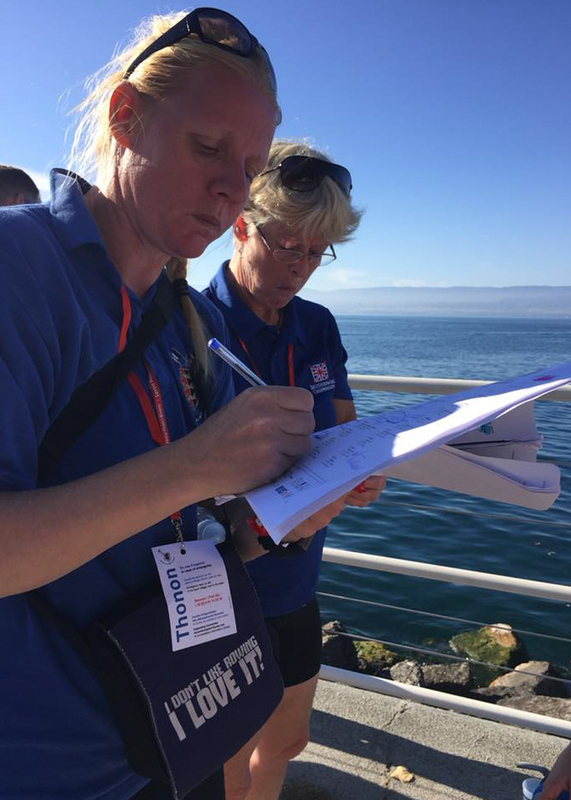 By the fourth turn Dover had slipped out of the A Final qualifying position but were maintaining a qualifying place for the B Final. 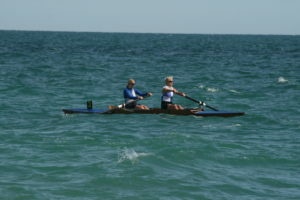 Their place assured Johnston and West-Burrows sought to conserve energy for the next race coming home behind their fellow GB crews from Welsh Sea RA in a time of 22:07.86. 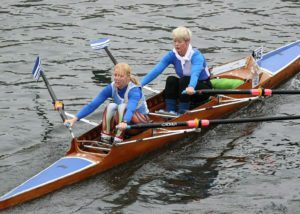 Jo and Maria in their club colours. 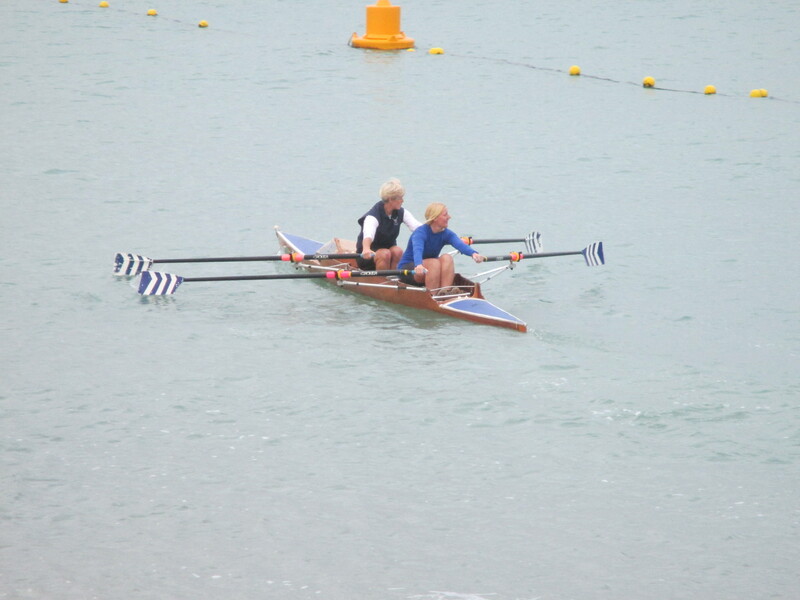 Saturday saw Johnston and West-Burrows line up for the B final along with other GB and Irish crews. 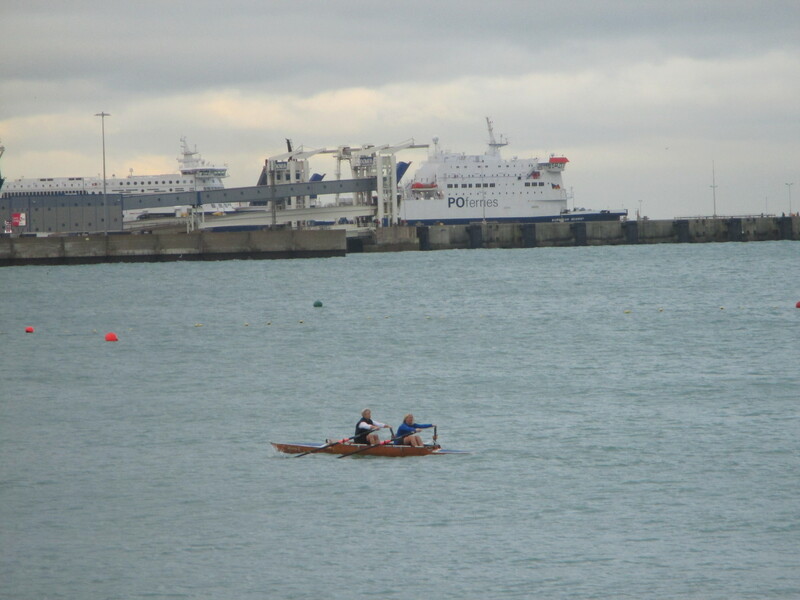 Racing was tight to the first buoy with Dover in the leading group of four. 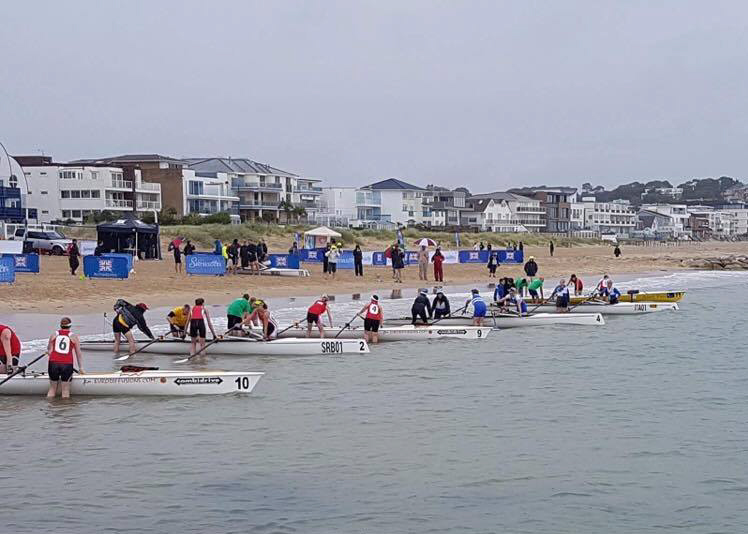 The battle continued through the next three buoys with GBR02 the eventual winners and IRL01 easing ahead leaving Dover to battle GBR05 for third place. 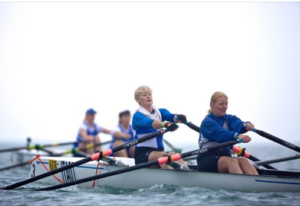 It came down to the penultimate turn where Dover dropped a length behind GBR05 to miss out on 3rd place by 3.08 seconds, finishing in a time of 21:24.82. Johnston and West-Burrows were the highest placed English crew in their event and had they been in the second semi-final their Saturday race time would have been good enough to qualify for the A Final. They finished the competition ranked 24th in the World in Coastal Doubles. 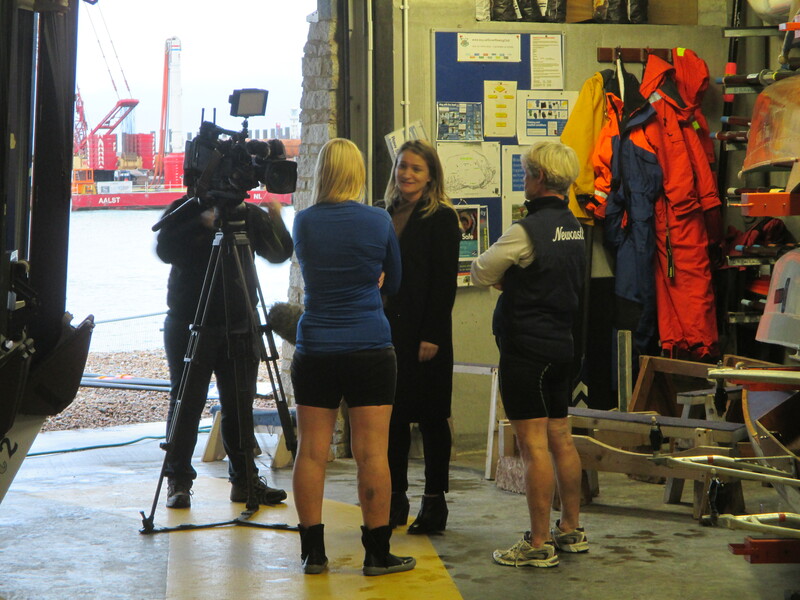 Meridian News crew of Jenna Verdicchio and Siobhan Hart visited Dover Rowing Club to report on Jo Johnston and Maria West-Burrows qualification for the World Rowing Coastal Championships. 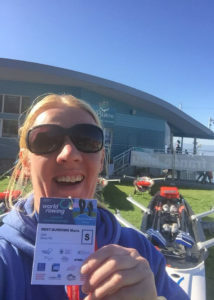 Johnston and West-Burrows will be competing on Lake Geneva on Friday the 13th in the semi final heats aiming to reach the final on Saturday. Good Luck Ladies! 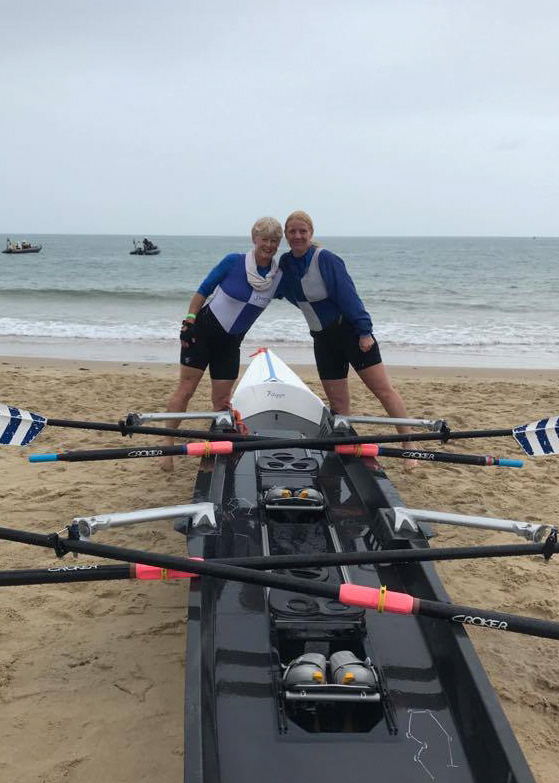 There was exciting news for Dover Rowers Jo Johnston and Maria West-Burrows as they received confirmation that their performance at the British Rowing Offshore Championships in July had qualified them straight into the semi finals of the 2017 World Rowing Coastal Championships held at Thonon-les-Bains, France. They will be competing as GBR4 on the waters of Lake Geneva in the Coastal Woman’s Double Sculls event and will be facing competitors from 9 other countries. 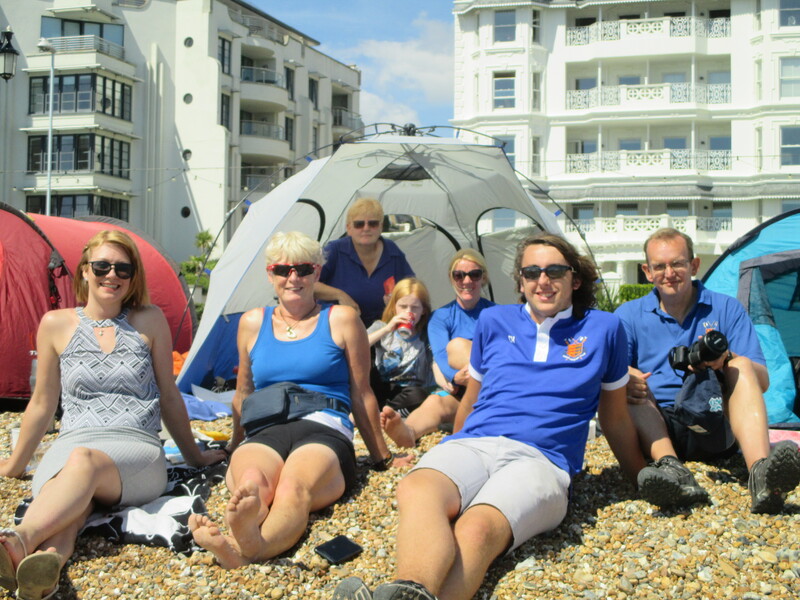 The Dover crew will be competing in the blue and white of Dover’s club colours as it is traditional for this tournament to represent both your club and country. Whilst the rest of the club have entered off season training, Johnston and West-Burrows have been balancing work and family responsibilities as they train in Dover Harbour in preparation for their semi final on the Friday the 13th October. 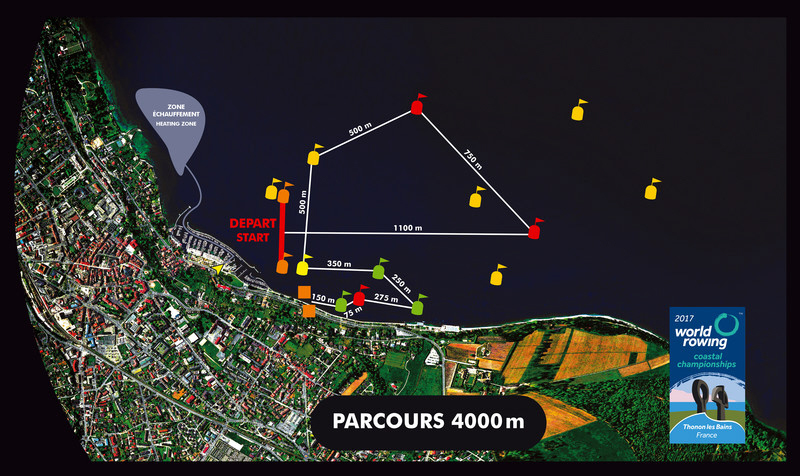 The heat will be based on a 4km multiple turn course with the final being run over a 6km course. 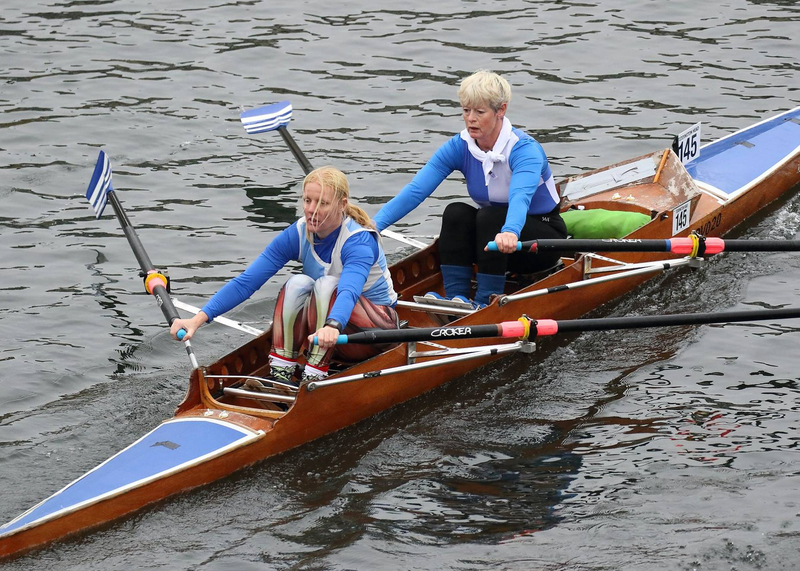 The preparations have not been ideal given the temporary space restriction caused by the West Docks Development but both rowers are hopeful of qualification for Saturday’s final, although the present expected calm conditions are not in their favour. 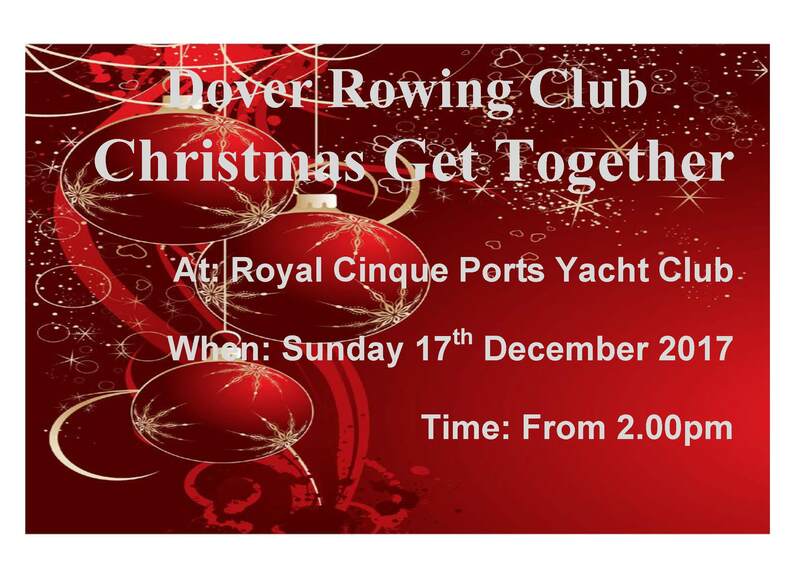 Anyone interested in learning or returning to rowing should contact Dover Rowing Club via the Club’s website. 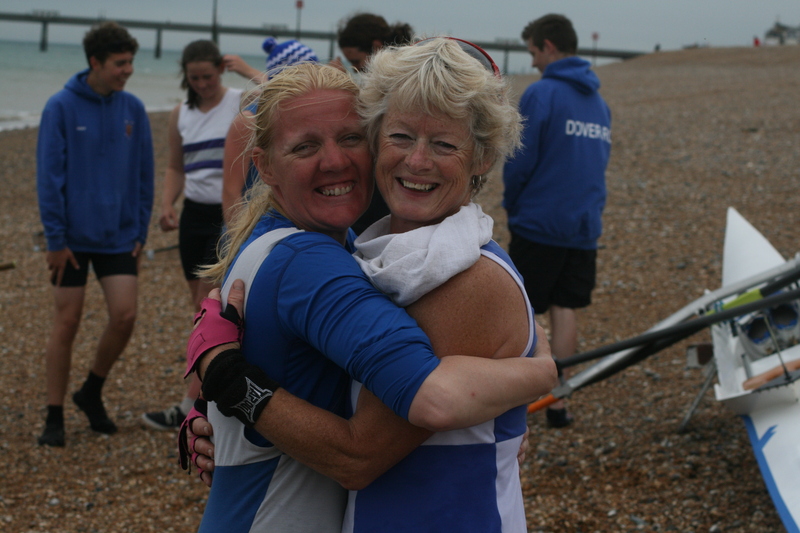 Dover Rowing Club sent a depleted squad to the rearranged Worthing Town Regatta at the weekend. 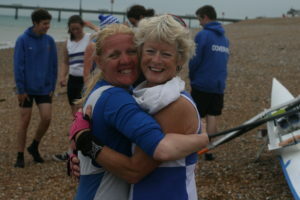 First on the water was Lizzie Foley who volunteered to help Eastbourne RC by coxing their crew featuring a new rower. Foley used her experience to assist the crew as they raced coming home 10th. 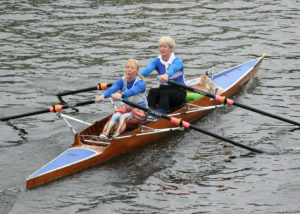 Maria West-Burrows and Jo Johnston were in competition in the Senior Ladies Pairs. 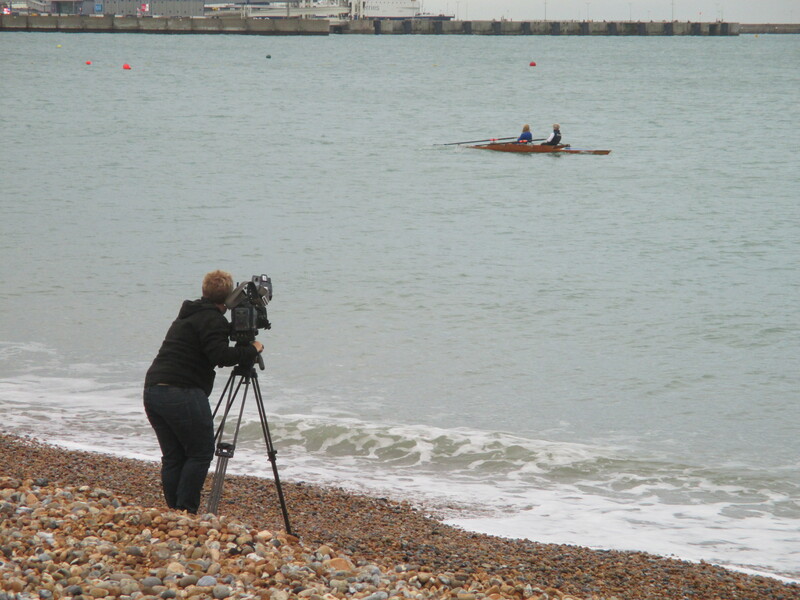 With the water at its roughest point of the day, in a few strokes one of Worthing’s crews capsized. 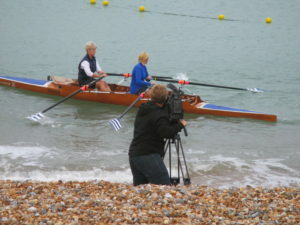 The remaining boats fought on as they headed down the course. By the buoy turns it was clear that Worthing’s remaining crew and a Shoreham crew would battle for victory whilst the Dover boat would be fighting for third. 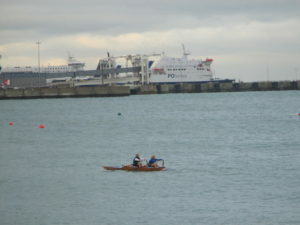 With the Dover boat in the rougher water on the return leg the third placed crew moved away leaving them to come home in fourth. 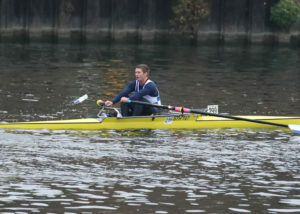 The Men’s Junior Sculls race saw Chris Hall in a competitive field. 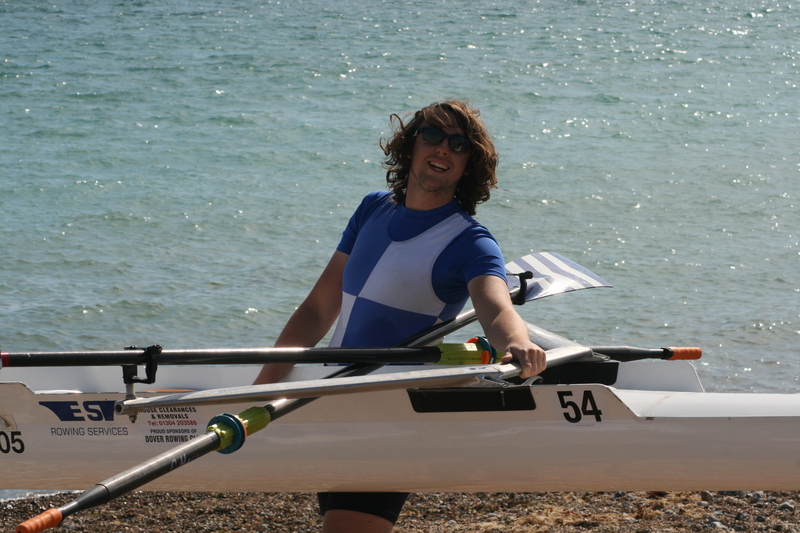 With conditions rough at the start line one of his competitors was fortunate to avoid a capsize just after the ‘Go!’. 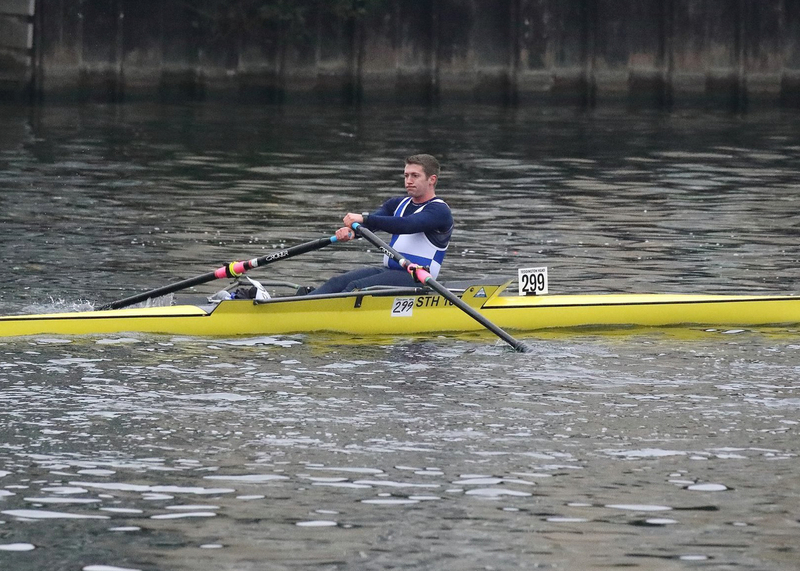 Hall found himself in a battle with the two Bexhill scullers offering a repeat of the first regatta of the season. 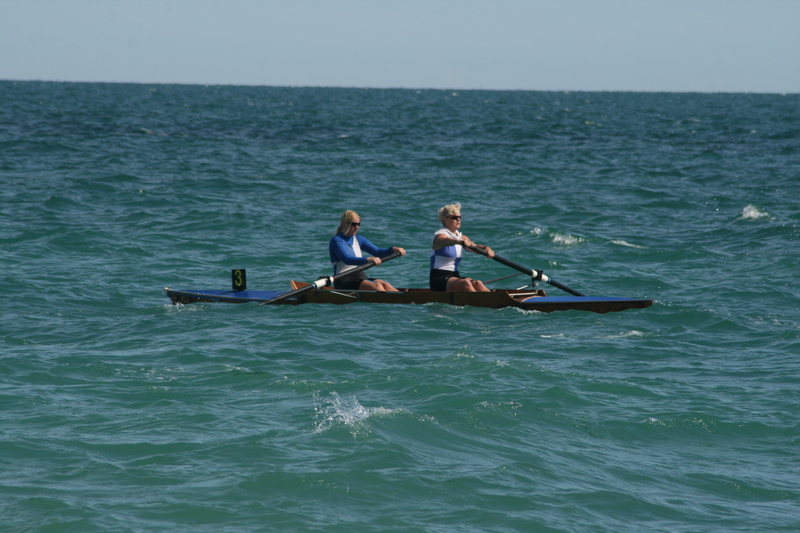 With clear daylight developing between the leading Bexhill Sculler as they headed to the turn Hall tried to hold onto the second placed boat. 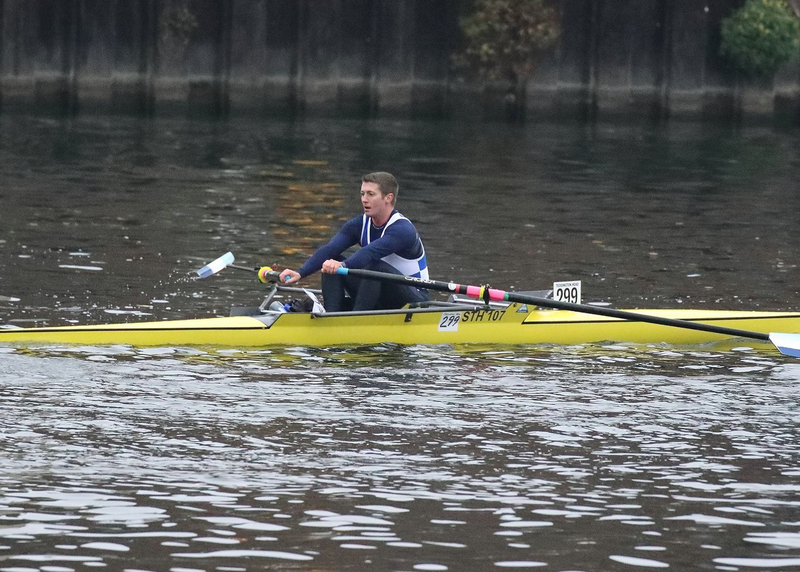 The turns went Bexhill’s way and both scullers broke clear of Hall who settled into third place as he worked his way up the course. 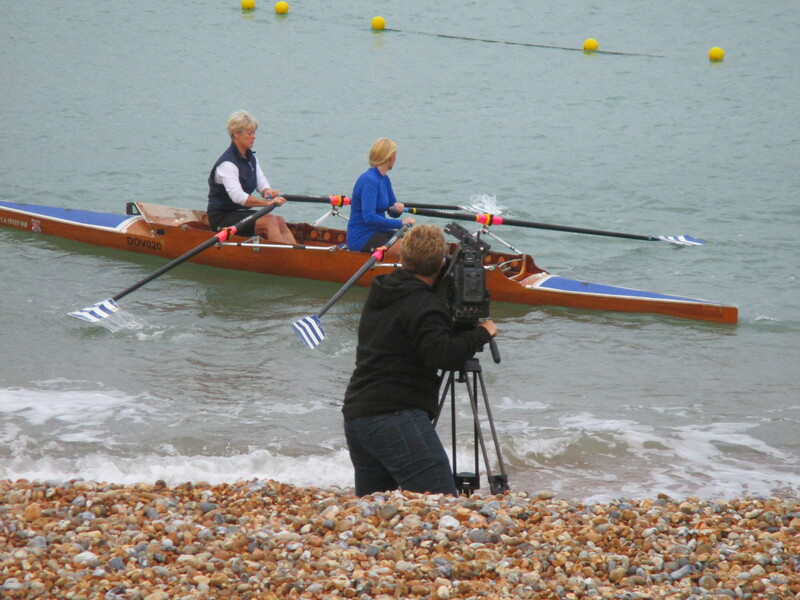 With inshore conditions better than the middle course water Hall watched warily as the Shoreham sculler made ground on him egged on by the commentator. 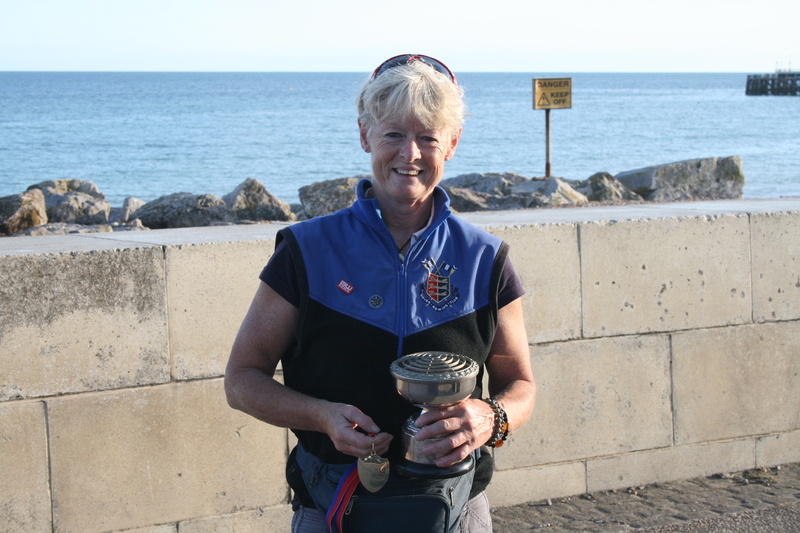 He upped his stroke rate but Hall responded, confident that he was in control of the third place only to see the Shoreham Sculler catch a crab and capsize with less than 400m to go allowing Hall to row controlled to the finish. Jo Johnston competed in the Ladies Open Sculls in calmer conditions. 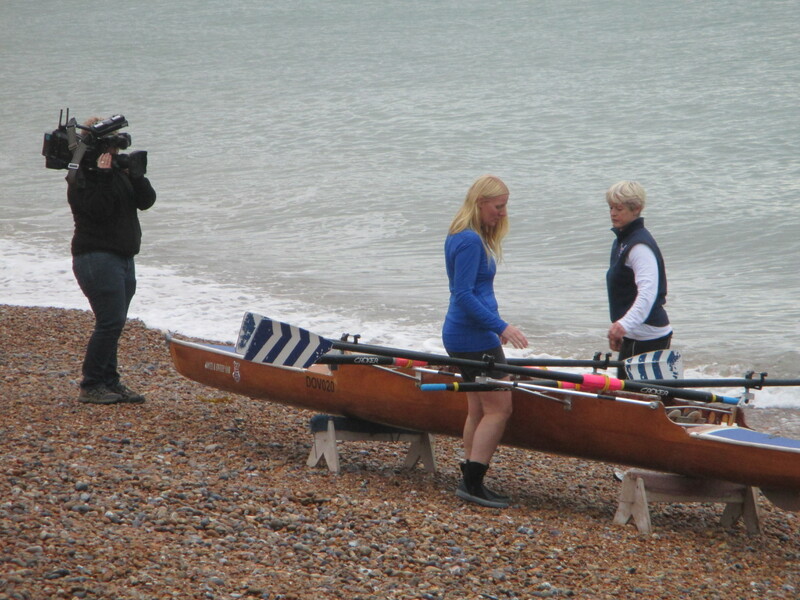 Johnston got off to the better start and found herself leading the Southsea sculler. Forming a comfortable lead on the outward leg Johnston exended her lead to several lengths as she remained long and strong all the way back to the finish to claim her first win of the season. With only the South Coast Championships left in the coastal season Dover Rowing Club are looking for new and returning members to bolster their squads competing in under 14’s through to over 50 categories for the 2018 season, please see the club’s website for contact details.